The Ellipsis earrings combine two ellipses and a self-intersecting bridge to form a shape that looks entirely different from each angle. 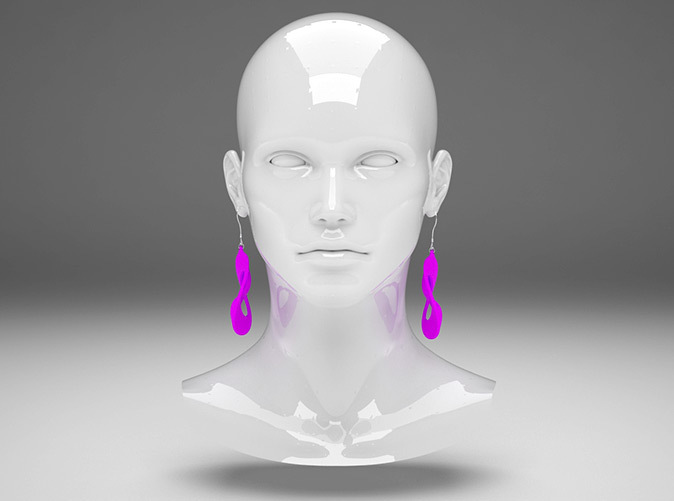 The earrings are mirrored copies so they are symmetrical when worn. 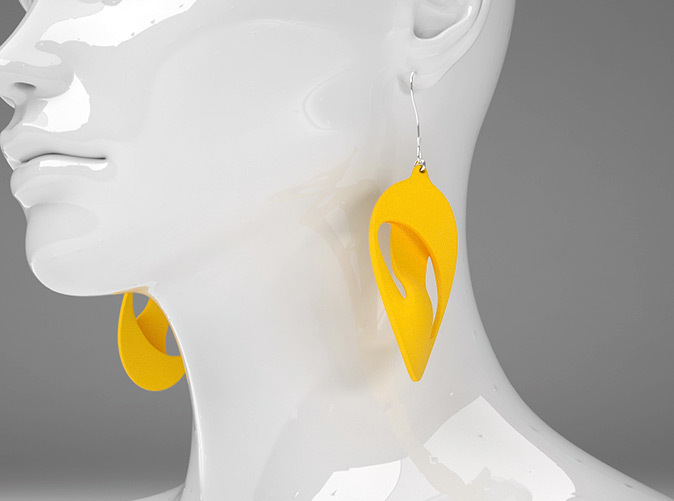 They are available in 9 different colors in my Shapeways shop here. 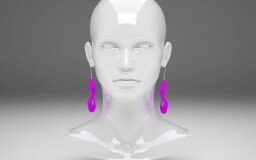 *Does not include earring hooks, these can be bought online (eg. ebay) or at a local bijoux store.